There is much to commend in Deborah Pearson’s Made Visible, if also elements that irritate. But that’s the way when you’re trying to flesh out an argument you’re not even sure you should be attempting. What is it to be born white, to take what Pearson calls `the most over-privileged ethnic group on the planet’ and analyse what that privilege means and how it manifests itself? Pearson’s starting point is a chance encounter and conversation she had with two Asian women in Victoria Park. 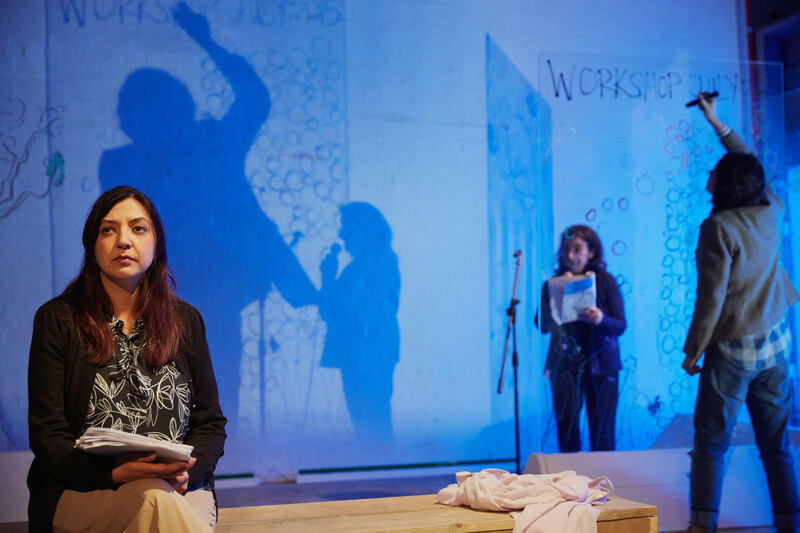 From there, she has teased out an hour-long exploration which not only looks and sounds like a pointillist’s examination of race with every fissure and feature of the conversation between the three women re-examined, but becomes a very post-modern deconstruction of theatre and playwriting itself. In some ways, Pearson’s writing is reminiscent of the early plays of Deborah Levy, those verbal tapestries of digressions and associated thought. 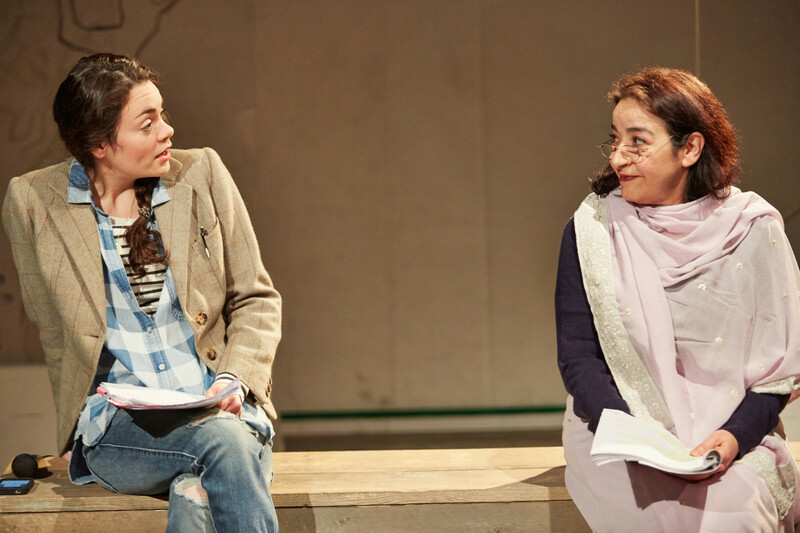 Pearson is a little more structured but no less adventurous setting her own role up as playwright to be performed by another, and the roles of the Indian women swopped then swopped again. Playful and challenging if a little sprawling, her enquiring mind also questions a whole range of assumptions and pre-conceptions about `the other’, especially useful in these days of heightened racial tensions. There’s a particularly powerful passage about the possibility of being caught up in a terrorist incident on board a plane only for the narrator to admit to it having been a bad case of over-imagination. Such is the nature of fear, and fear of `the other’. Made Visible too is a double reflecting mirror. It asks paradoxically not just how `invisible’ other ethnic groups become but how being white also allows for `invisibility’, a disappearing into the background, in itself a kind of freedom. Stella Odunlami’s production has a nice, easy-going naturalism about it, but to the extent that in The Yard’s far from perfect acoustic space, certain bits become almost inaudible. 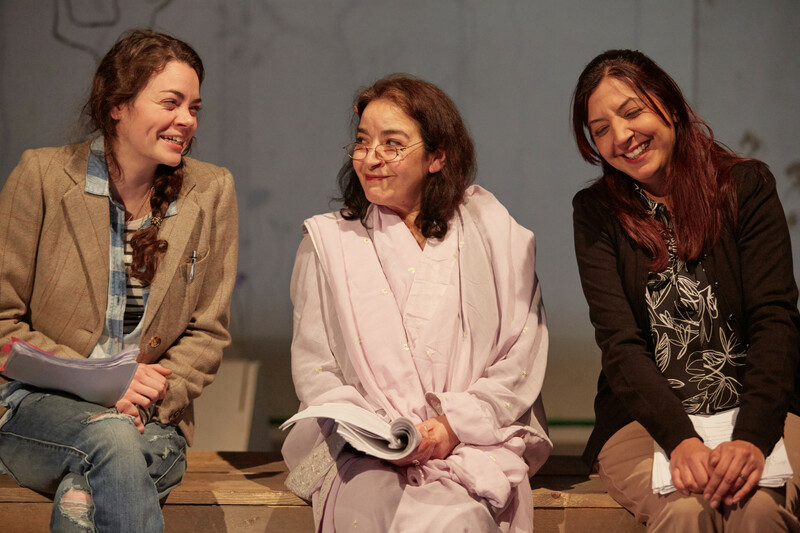 Together, though, Anjali Mya Chadha, Haley McGee (as Pearson) and Mia Soteriou act like the grit in the oyster producing if not a pearl certainly an intriguing intervention. This entry was posted in 2016, Reviews and tagged anger below the surface, Deborah Levy, Deborah Pearson, fear, racism, racist assumptions, Stella Odunlami, The Yard, white privilege on March 24, 2016 by Carole Woddis.